The state-of-the-art Johnson Controls engineering and test facility in southern York County, Pa. is a flagship project for IBEW Local 229 and our affiliated electrical contractor I.B. Abel Inc. The project includes a three-story, 107,000-square-foot engineering office and a 250,000-square-foot test facility where Johnson Controls will test its air handlers and chillers. Construction of a 115,000-volt to 13,800-volt substation was started in August 2015 and completed in March 2016. Work commenced on the engineering office and test facility in September 2015 with major construction completed in November 2017. Among the unique electrical requirements at the facility is the need to accommodate five voltage schemes from both North America and Europe. Most projects require two from North America. I.B. Abel responded by installing 28 adjustable secondary transformers with tap arrangements that can be adjusted to fit various scenarios based on Johnson Controls’ needs. The sheer volume of materials used on the project demonstrates its magnitude. 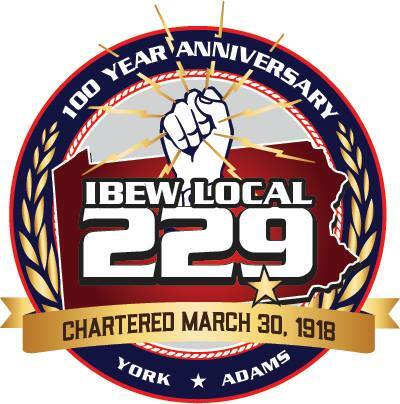 IBEW Electricians employed by I.B. Abel will installed 1.6 million feet of wire (approx. 208 miles), 170,000 feet of conduit, 25,000 wire terminations, 12,000 feet of cable tray, and 700 pieces of switchgear and electrical equipment upon completion. IBEW 229 is proud to a part of this state of the art project in York County and we look foward to servicing this facility for years to come.